We are selling the remaining items at reduced costs. Dear clients from EU, please expect high shipping & toll fees OR long delivery waiting time. 2017 has been a very intense year for Misogi Dogi. 180 keikogis or jackets were pre-ordered, 100 light aikido uniforms and karategis were delivered. The production was much more challenging than we expected, despite careful preparation. Everything took much more time, beyond imagination. And, as if it wasn’t complex enough, we had to move the company from Berlin to Switzerland this summer, during the production. Fortunately, we were blessed with the most friendly pioneer clients: we received messages full of endless support and patience. We are deeply grateful for the huge trust you set in us. You made Misogi Dogi happen. Thank you very much! We are very grateful for every feedback, it boosts our motivation to face the numerous challenges and, for critical feedback, helps us to improve our products. As for the clients still waiting for their aikidogi: the first jacket prototypes made of sashiko (=rice grain fabric) are very nice. We test washed them several times, they shrink by 7-8 %. The pattern maker is currently adapting the patterns of 11 sizes accordingly. Production is ongoing and will take another few weeks. We are looking forward to deliver many keikogi made from organic cotton in 2018 too. In the meantime, we wish you all a wonderful year 2018 full of bliss, health, love and fulfilling training. I got in touch with Emir by a friend who works for a fair fashion network. The owner of a family business in Bosnia & Herzegowina (BiH). Specialised in manufacturing small fashion designers’ collections from Switzerland, Netherlands, and Scandinavia, he had contacted my friend in search for a fair-trade certification for his company. After comparing a few further offers from various countries such as Poland, Lithuania, Serbia, Turkey, Greece, Germany and the Netherlands, it became evident: Emir’s company made us the best offer in terms of product and service quality. The sewing workshop is on the ground floor of Emir’s parents’ large, peach coloured house in the calm sub-urbs of Banja Luka. With 200.000 inhabitants, Banja Luka is the second largest city of BiH. Located between Sarajevo and Zagreb, it is a very green city on the shores of the majestic river Vrbas, an affluent of the Danube. Small hills sparkled with small houses surround the city. The neighbourhood has changed a lot. Before the war, I would meet many old friends in the streets. Now, they are all strangers. In Banja Luka, most Bosniaks and Croatians left the city and were replaced by Serbians during the war. Many families have lost everything. Emir, together with his sister and mother, has brought the family business to a new life. Sena visits the workshop every day and makes sure everything works fine and everyone is happy in the company. Emir and Aida still live and work in Switzerland. Next to their main jobs, they manage the family business and find new clients in central Europe and Scandinavia. When I enter a room, I knock. The women are here everyday. I feel like a guest. This attitude was confirmed in our long discussions about working conditions and definitions of fair-trade. 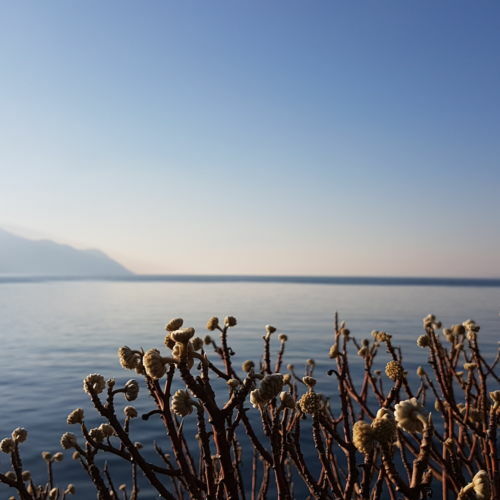 Emir’s family business is driven by a wish to promote a region severely hit by wars, floods and earthquakes: The city was devastated by an earthquake of 6.4 magnitude in 1969 and by floods and landslides in 2014. The city of Banja Luka has nonetheless become the economically strong centre of the country. However, the whole country suffers from corruption, a large trade deficit, and an unemployment rate of 25%. Youth and female unemployment is at a staggering 60%. The average income is 300 EUR/month, and a third of the population lives under the poverty line. They refuse to feed the corruption system. They create a safe work environment. They offer slightly higher wages than comparable companies. They build a relationship of respect, trust and support with their employees. They do their best to grow their company and recruit more staff. They try to avoid over-hours. The whole team is composed of about 20 textile workers. Their age average is like in many aikido dojos: late 40s, stretching from mid-twenties to well over 70. The oldest, Rebija, used to be the director of a team of 300 seamstresses during 30 years. She is in charge of calculating the prices. She is calm and friendly and her sparkling eyes show that she enjoys her activity. Anka, the master seamstress, makes the first prototypes and teaches the best way to the others. The world of textiles seems to have no secrets for her anymore. The team doesn’t have an official workshop director. The women coordinate the work amongst themselves and share the tasks according to their skills and capacities: some seamstresses are better at sewing heavy winter coats; others are better at light summer dresses. Here, each seamstress is fully skilled and produces a piece of garment from A to Z. It’s not like in a sweatshop where workers work in a line and do only one particular seam all day long. This year, I came alone to help launching the production of the gis. I mainly worked with Igor, the key account manager, and Maja, the pattern maker. Igor is a friendly, bright young man. His current job is a great opportunity to acquire a solid work experience. This January, he discovered Berlin’s fashion week. Fascinated by the German capital, he dreams of once moving there and working for a fashion magazine. Maja studied fashion design and would love to also work on her own creations. Maybe one day… but meanwhile, making patterns is nice too. While the seamstresses work in silence and with full focus, the two 15 minutes breaks are their occasion for jolly talks and jokes. For me, it was the opportunity to get to know the seamstresses a little bit. Most of the women would gather at the long table in the kitchen and enjoy a salty snack at 11 AM and a Turkish coffee prepared by one of them for all at 1 PM. Each seamstress has an individual cup of coffee. During my stay there, we also enjoyed one of the seamstresses’ son’s 14th birthday cake. And I was very glad to see how much they enjoyed the Swiss chocolate and cookies I brought. The Bosnians learn German at school. But as they have little opportunity to practice the language, and my Bosnian is yet very poor, our conversations were limited. Milka is very calm. She would mainly observe with a friendly look and listen to the others. She already sewed a few of the Misogi Dogi prototypes. Try this one, just a little sip, to awake the blood circulation! I could be your mother. I’ll come to your wedding too! Spending a week working with such a wonderful team was a great experience. I am looking forward to going back and spending more time with the ladies. But first, I’ll need to improve my Bosnian language skills! 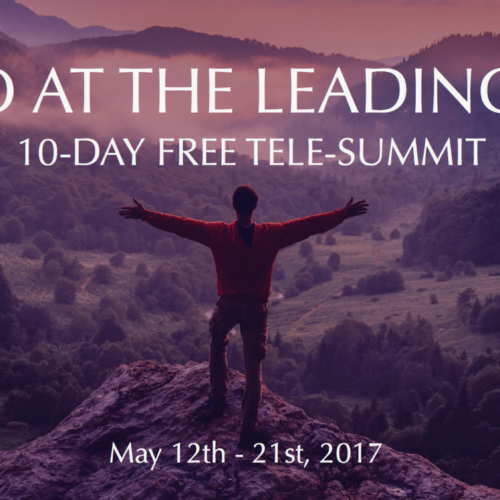 Lucile will share our motivation and insights related to Misogi Dogi at the upcoming tele-summit “Aikido At The Leading Edge” along with an impressive line-up of 40 aikido teachers. 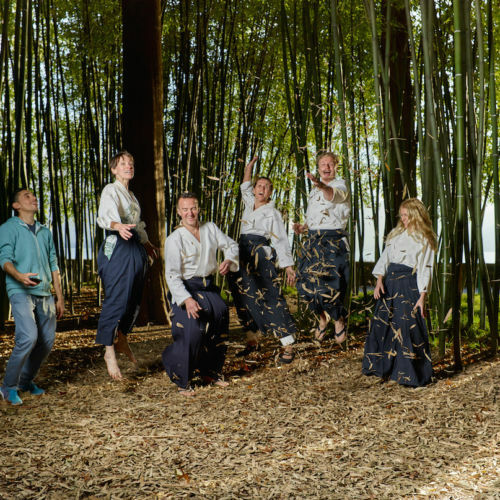 You are all invited to join this free online event and get inspired by collective wisdom about aikido, practice and life with practitioners from around the world. This campaign would not have been possible without the contribution of many people: 1000 thanks go to all who pre-ordered and supported this campaign! Many thanks to all dojochos and aikido fellows who helped us to spread the message and gave us the opportunity to present our prototypes to their fellows and students. Special thanks to Urs José, Julia, Urs K., Helena and Jan, Martin, Ute and Christoph. Best thanks to the campaign production team David and his team, Jonas, Amber, Rene, Corine, Anton, Björn and Stefan. Our deep gratitude to Maïa Barouh for allowing us to use her beautiful song “soran bushi” for our campaign film. Thank you very much to Bernhard, Noel, Emir, Aida, and the team of slowFASHIONfast for their wonderful support and quality service and for believing in us. The project wouldn’t have been successful so far without the expertise and friendly support of the Berlin fair fashion community including interloom, Anna, Rabea, Marte, Sandra, Sylvie, Upcycling Fashion Store and many more. Last, but not least, I would like to thank my dear family and friends for their great support. THANK YOU VERY MUCH!! By the way, our online shop stays open and we are looking forward to receiving further pre-orders in the coming weeks. 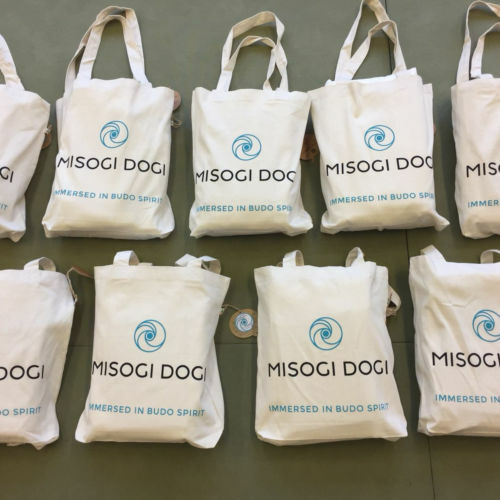 MISOGI DOGI is a pioneering brand for sustainable martial arts uniforms fully in line with the budo spirit of purity and respect. Made from organic cotton & made fair-trade in Europe. This website runs on greenpeace energy. © 2017 MISOGI DOGI. All rights reserved.